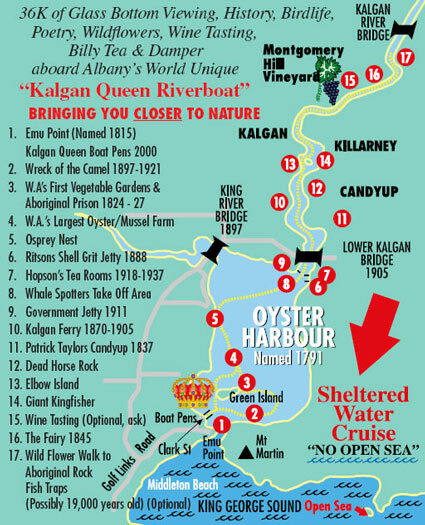 Albany boat tours Kalgan Queen Scenic cruises day trips Home page bookings. 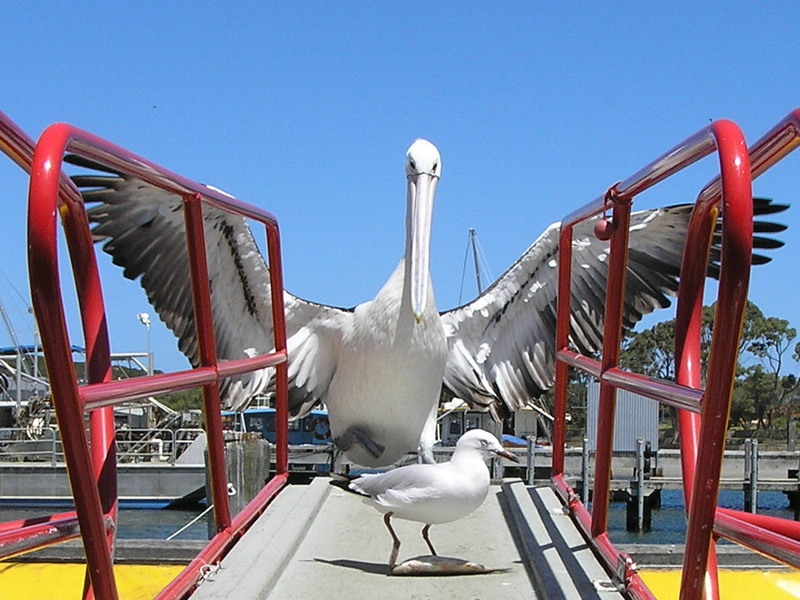 The top Albany day tour available is the award winning Kalgan Queen Scenic cruises which is a sheltered water cruise no open sea. 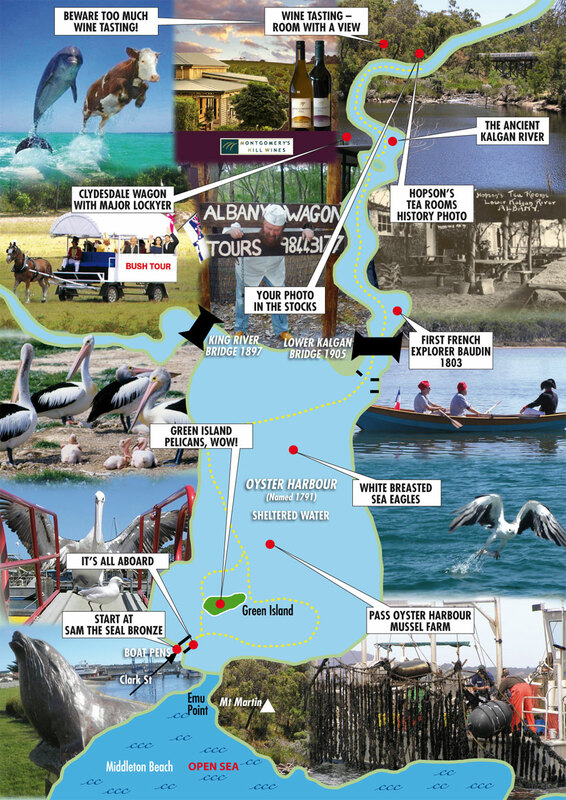 The Albany boat trip that departs 9am every day for four hours of wildlife history and scenic beauty, not to mention Captain Kalgans famous hot damper. More than just a cruise a journey through time! 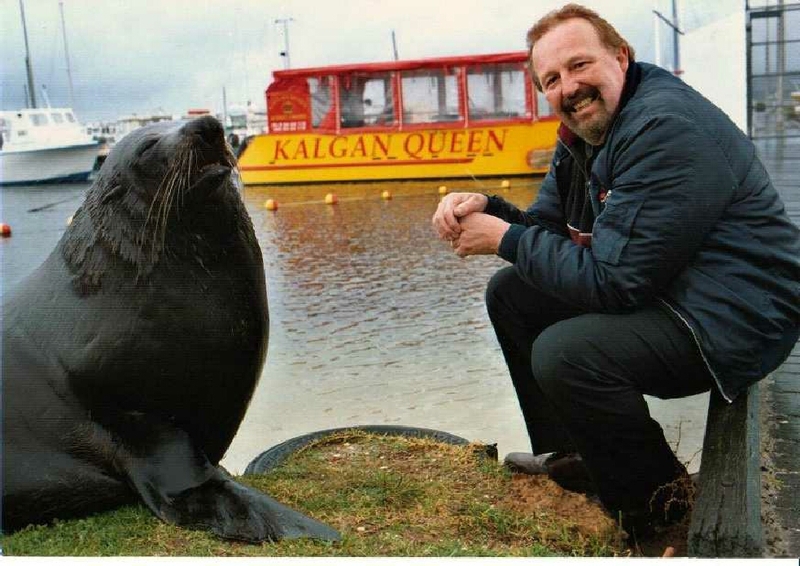 Click above for a quick trip on the Kalgan Queen. 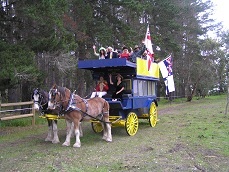 Albanys Riverboat Kalgan Queen Scenic Cruises, Sheltered waters. New to our tour is a short trip on the banks of the Kalgan river in a motorised wagon where you will see Western Grey Kangaroos in the wild, up close and personal. 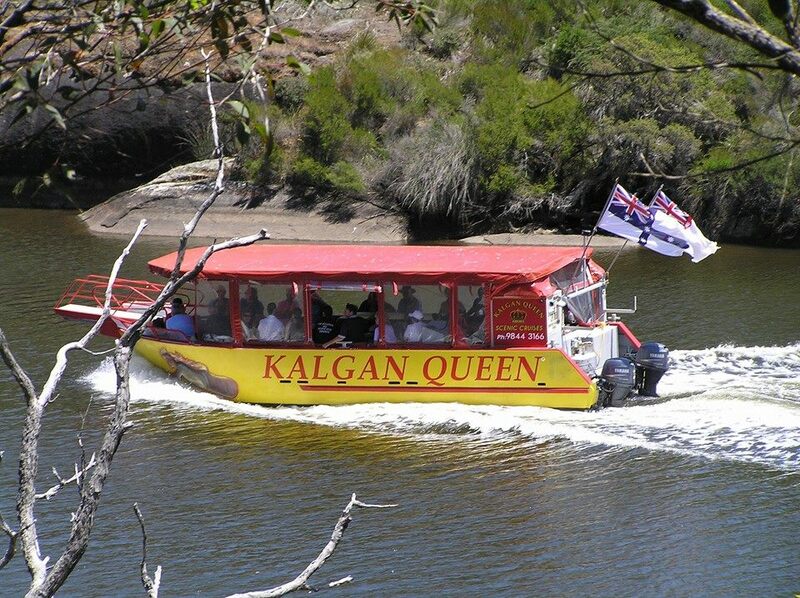 The Tourism award winning "Kalgan Quen Riverboat Cruise" is a sheltered water cruise! Plus wonderful wildlife & a great live informative commentery. 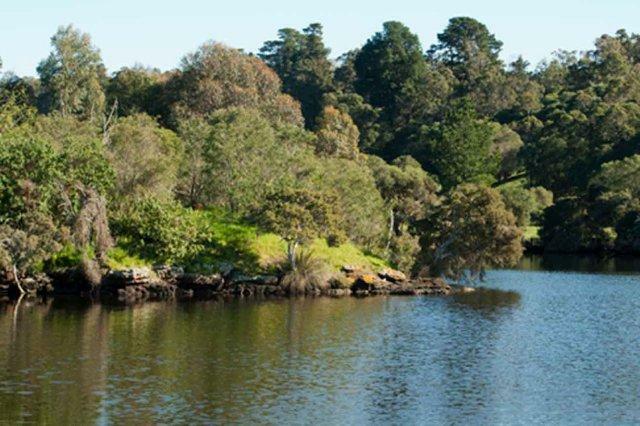 Board the Kalgan Queen for a leisurely cruise along the sheltered waters of Oyster Harbour and the ancient river. Like a journey through time, you will take the path of the first settlers as they discovered the natural and stunning beauty of the area. Your glass-bottom vessel offers views of the underwater wonders, stories of Albany’s history and colourful tales commentary ranging from local birdlife to Kangeroos wildlife and poetry. There’s even a billy tea, damper. For full information on this tour press this CRUISES BUTTON orPhone 08 9844 3166 have a free cruise click below. 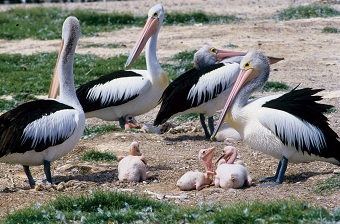 Percey Pelican on a bad day! The Seagull said "Fish what fish"